Every international sport has rules and regulations that govern it. These rules don’t just exist out of the blue- there is an organisation or a group of people who create them. Just like FIFA governs football, the International Cricket Council or ICC is the cricket’s governing body. This body was founded in 1909 and was initially referred to as the Imperial Cricket Conference. The countries that were represented during its formation included Australia, England, and South Africa. In 1965, the body was renamed to the International Cricket Conference and renamed again to its current name (ICC) 24 years later (1989). As of 2018, the total number of the ICC members is 104. The members include Full Members (12) who play Test matches and Associate Members (92). 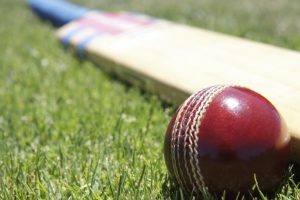 Coordination of disciplinary actions against the perpetrators of match-fixing- and corruption-related crimes through the help of the MCC’s World Cricket Committee and Anti-Corruption and Security Unit. It is worth noting that the ICC does not determine bilateral fixtures and does not enact the laws of cricket, which is the responsibility of the Marylebone Cricket Club. Also, the body is not responsible for governing domestic cricket played in its member nations. The body is headed by Zaheer Abbas- current president whose appointment came after the resignation of Mustafa Kamal in 2015. The body is run by a board of directors, which is headed by the ICC Chairman. N. Srinivasan was appointed the first ICC Chairman, and since the creation of the chairman’s position in 2014, the ICC’s president role became more of an honorary position.